Shell eggs are raw eggs available in cartons for purchase. Many types of eggs are available. Grading indicates the interior egg quality and shell appearance. The USDA grade shield on the carton shows the eggs were graded for quality and checked for weight under supervision of a USDA grader. USDA grading is voluntary for egg farms, and those that choose to have their eggs graded pay for this service. Egg companies that do not use USDA’s grading service are monitored by state agencies, and their carton will bear a term such as “Grade A” without the USDA shield. 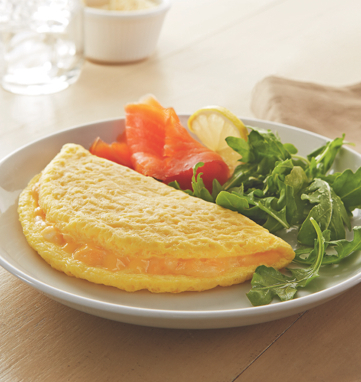 Egg products refer to further processed or ready-to-use products made after shell eggs are broken and processed. 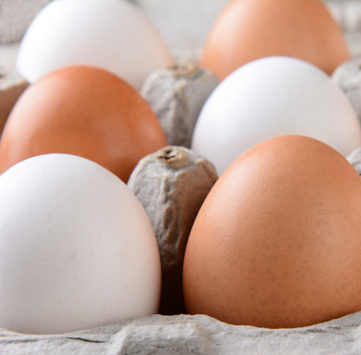 Egg products for purchase include whole eggs, egg whites and egg yolks in frozen, refrigerated liquid and dried forms. They may also be included in products like cake and cookie mixes. Specialty egg products can be pre-peeled hard-boiled eggs, egg salad and pre-cooked omelets, egg patties, quiches, scrambled eggs or fried eggs. What do carton labels like cage-free, organic and free-range really mean?